Spring is a wonderful time of renewal. Eventually sprouts begin to push their way through the earth, trees begin to bud, the grass greens, snow switches to rain and flowers bloom. This is a time for new beginnings and refreshing that which has gone stagnant. Our world and our lives shed their wintery veil. Light shines forth and there is a promise of longer, brighter days. Even without the tell tale signs of nature, you know in your heart it is coming. In more tangible ways you can feel it in the air and smell it in the winds. 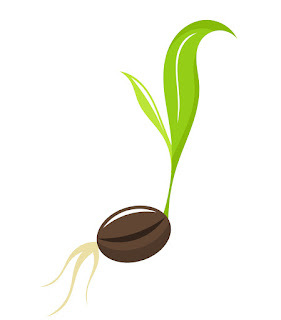 Along with this new life springing forth in nature, we experience the ability to have fresh starts in our lives. This is a time of renewed vigor and an awakening of sorts that draws us nearer to the promise of warmth and sunshine in our hearts and souls. We can mirror and utilize the energy brought on through the changing of the seasons to stimulate us and push us in our pursuits, new or old. A new beginning is at hand. This is a new start and it brings with it the promise of new inner life growing from the seeds we can now plant. This is the time to renew our motivational skills, to push ahead in our pursuits and find outlets which can help us renew our commitment to ourselves for further growth and evolution. We may find that we are now more willing to push ahead in our endeavours that we had allowed to slip over the winter. We may find that this renewed vigor for life propels us into new-found areas that may not have been available before this time. It is really up to each of us as to what we plan on doing with this energy. The seasons of Nature can also mirror life’s seasons. As spring brings new growth, we too can move and grow in new areas of life. Take advantage of the energies at hand. Move ahead into the new. Reach beyond any limits we may have placed on ourselves now. The only thing that is holding us back is us. We are our own motivation or our own stagnation. Growth and advancement are at hand. What will you do with the energy? ARE YOU OBLIGATED TO BE HAPPY? DO YOU HAVE SOME TOUGH DECISIONS AHEAD? DO YOU BELIEVE YOU CAN BE HAPPY?